How likely is a business to say: “Nah, we don’t want to actively get feedback from our customers”? 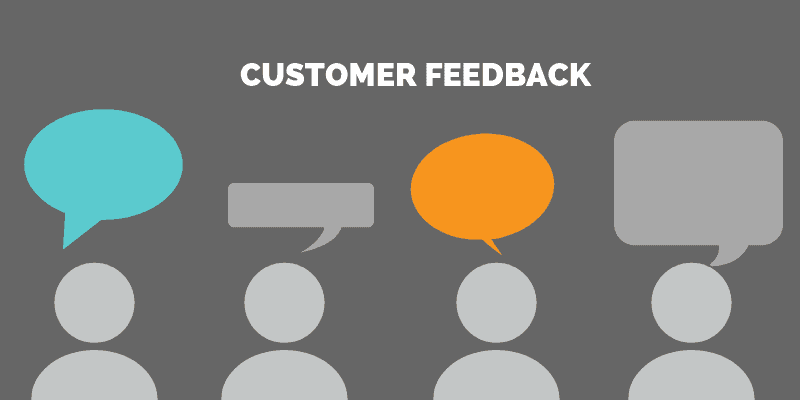 In fact, most consumer-facing businesses put particular emphasis on how they need to receive customer feedback. But do you have the tools in place to collect feedback directly? Email surveys. Check. Web feedback forms. Check. All very good if you want a sample standard survey to fill in your NPS or CSat KPIs. But what happens when your subscriber’s account activity changes. What happens if the change is a danger sign for you, e.g. an activity related to downgrading or terminating the contract. Or after a customer has terminated, how do you reach out to them to find out why? Here you need to be able to reach out to a sample of those involved and have an employee talk to them and solicit direct feedback. You need information from a sample of your customers to know how to address the problems – it is extremely unlikely that you will find the underlying issue from a 2.9 CSat score! The key to TALKING to the right customer at the right time is the automation of all the processes downstream and upstream from the call. The reason to call the person will generally be some data in another system, often a system of record (SOR) like a CRM. The outcome of the call will need to be linked back to the data set in that CRM or SOR. So if you are going to operate the process at scale, then the automation of what happens across this integration is essential. Secondly, you need to be able to change how the integration works, what data points are used, etc. flexibly to meet your needs. If that requires highly valuable dev or other IT resources, then your processes will eventually grind to a halt. This is why it is essential to also give the team who run the call outreach processes direct ability to change things without needing coding or any other IT involvement. The great thing is that it has become a lot easier to get started with automated calling of customers you want to get feedback from. You can then optimize by adding more integration and automation as you develop your processes. This is the fifth in our series of six posts where we are taking a deeper look at all the benefits customers get from deploying integrated processes using a dialer as one of the components. When I gathered together the kinds of processes, we have seen across customers, a common thread emerged. Two things determine success: Integration capability and Automation capability. The dialer itself is just one component among many. Joined up processes across components is what it is all about. What allows businesses to achieve business benefit is the ability to relatively cheaply create and change automations across multiple integrated components: CRM, ticketing, BI, ERP and other systems need to be linked up automatically with dialing, scheduling and availability of the right people. The next post will be the last of the 6 in the series, we’ll look at how integration with both a dialer and task scheduler is the key to enabling both virtual queuing and to offering dynamic call-backs.